It’s been a long time in the making, but Galaxy S5 users on the Sprint network are now receiving the Android update — but it’s not the Android 5.0 Lollipop update so many users were hoping for. 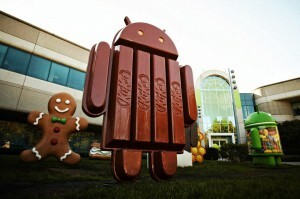 On November 20, Sprint quietly rolled out Android 4.4.4 KitKat to Samsung Galaxy S5 users. It’s an over-the-air (OTA) update, meaning you don’t have to manually download and install it. Assuming you have a Galaxy S5 device on the Sprint network, you should receive a notification prompting you to update your Android operating system. Confirming this update will begin the download/installation process, at which point you’ll have Android 4.4.4 running on your device. The new (well, new to Sprint users) Android 4.4.4 KitKat updates brings a range of new features, bug fixes and improvements to the Galaxy S5. Sprint is known for its dragging its feet when it comes to releasing new Android updates. Verizon Wireless, for instance, launched the Android 4.4.4 KitKat update to its Galaxy S5 users over two months ago. So, what’s taking Sprint so long? According to Android Police, Sprint actually announced the Android 4.4.4 KitKat update several months ago. Of course, this update never happened, leaving some people to believe that either Samsung or Sprint found a critical flaw in KitKat that required them to postpone it. In the event that you don’t see the notification to download Android 4.4.4 KitKat on your Galaxy S5 device, you can attempt to search for it manually. This is done by accessing Settings, followed by search for software upgrades. It’s only been a couple days since Sprint began the update, so be patient and don’t feel discouraged if you aren’t able to update just yet. With Galaxy S5 users just now receiving the Android 4.4.4 KitKat update, many people are wondering when, or even if, Sprint will release the Android 5.0 Lollipop update. I think it’s safe to say that Sprint will release Android 5.0 Lollipop, but it may take a while, especially if the Android 4.4.4 KitKat update is any indication of its upcoming Lollipop update. You can check back with our blog here GalaxyS5US.com for all of the latest news on Android updates for the Galaxy S5. Did you recently receive the Android 4.4.4 KitKat update on your Sprint Galaxy S5? Let us know in the comments section below!